There isn’t a single definition of Unified communications because it describes a framework for integrating various asynchronous and real-time communication tools in order to improve business communication, collaboration and productivity. It therefore is not a singular technology but an interconnected system of enterprise communication devices and applications that can be used together. Internet Protocol (IP) telephony and video conferencing are ideal tools to facilitate Unified Communications as they operate in real-time. Other communication tools, such as email, team collaboration tools offering messaging-centric workflows, API integrations and instant messaging services take place at a person’s convenience. The goal of unified communications is to integrate the software that supports these different communication technologies so the end user has easy access to all the tools from whatever device is in use. By enabling users to communicate and collaborate in a more flexible and intuitive way, Unified Communications will increase employee productivity and improve collaboration. Additionally, specific technologies, such as video conferencing, will also reduced travel costs and enhance ROI. The benefits of unified communications also stretch to remote employees who often work from mobile devices such as tablets and smartphones, and use audio and video capabilities and apps native to their device. Our unified communication tools are perfectly designed to walk in step with your business. Our Unified Communication Client is a desktop app that helps you integrate your phones with the rest of your business processes. The app lets you access your contacts easily, and can identify the context of incoming calls. You have full control from your desktop app: answer, transfer and end calls, put callers on hold and dial out without the need to reach for a traditional handset. Our unified communications integrate with your Outlook contacts and Skype For Business, and you can also merge your contact lists from other applications you use day-to-day for accounting or CRM, such as ACT, Goldmine, Microsoft Dynamics, Salesforce and SAGE. It helps if you can see who’s available to take a call and who’s busy. 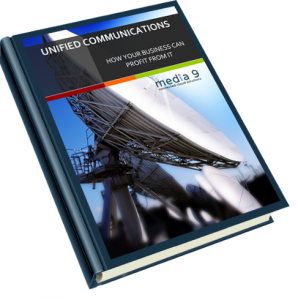 With our unified communication solutions, everyone can see the availability of everyone else. This boosts co-ordination and encourages collaboration between your colleagues. You have full control of your set up. You can opt for call forwarding, ‘do not disturb’ or put limits on outgoing calls. You can take a quick peek at a convenient list of recent calls or you can access a full call history. Caller information is saved to your directories and displayed during both incoming and outgoing calls. There’s also a convenient option to pop the file to view caller information in more detail.